The sun was out and shining today! As we embraced the warmth of Dallas, we continued our work at Cockrell Hill United Methodist Church. One group worked on fixing some electrical components to make sure the inside of the sanctuary is as bright as the outdoors. Another group worked hard inside the youth center and managed to paint four rooms today! A couple of groups did get to work on their tans. One painted some fresh lines in the parking lot. The last group scrapped and painted the windows of the youth center. We also had a couple of special surprises today. We were welcomed with breakfest tacos and Pablo’s son, Jack, hung out with us and even helped paint some walls! Some other members stopped by to see our progress. It’s so great to see how pleased they are with our progress, and hard to believe tomorrow is our last day of work! After work, we reflected on people we’ve gotten close too, challenges we faced, and how we’ve felt on the trip thus far. We did this by two methods, self reflection inside the church and large-group reflection atop the roof! For our adventures this evening, we split up into two groups. Half of us tried out our dancing feet and learned to line dance! 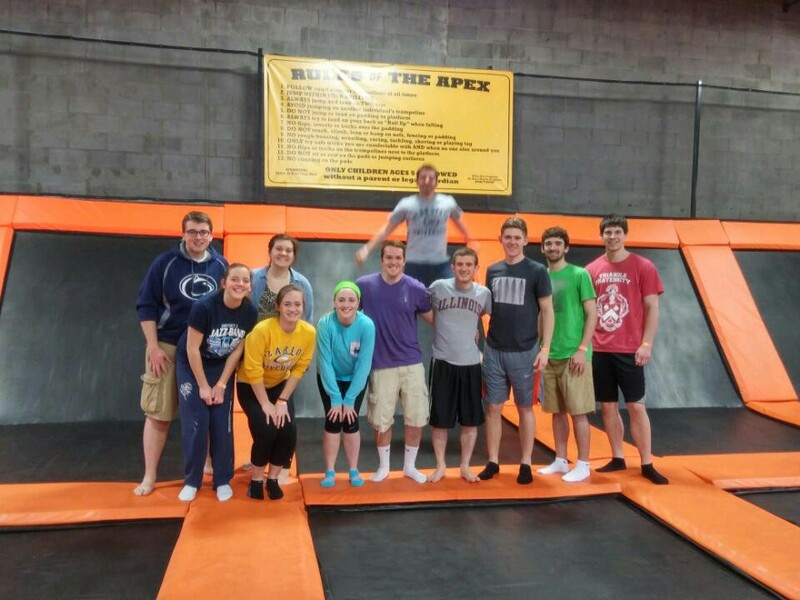 The other half challenged each other at Urban Air- an indoor trampoline gymnasium, with dodgeball. Both groups then headed downtown to explore Dallas, and ate some local sweet treats!